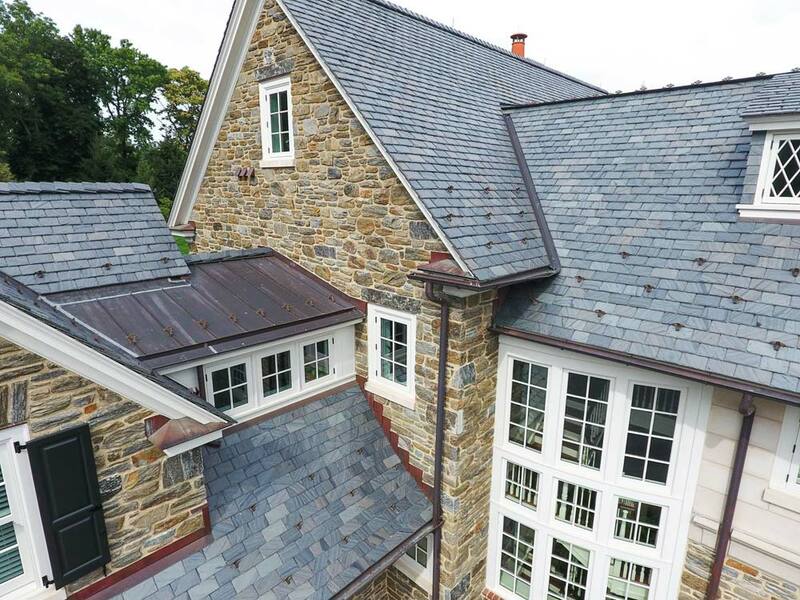 At Gillespie Construction Inc. we have years of experience in working with slate. 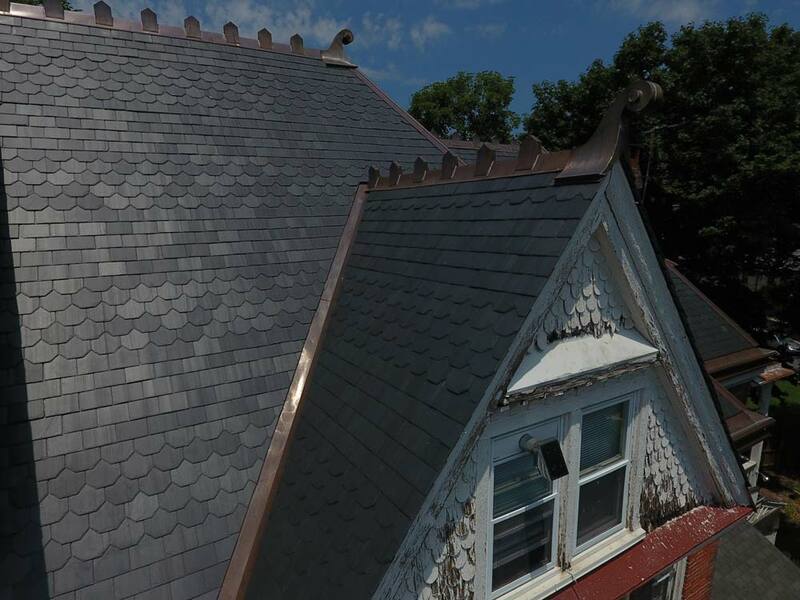 We can source a wide variety of natural slate options in a wide array of colors to create the look you want. 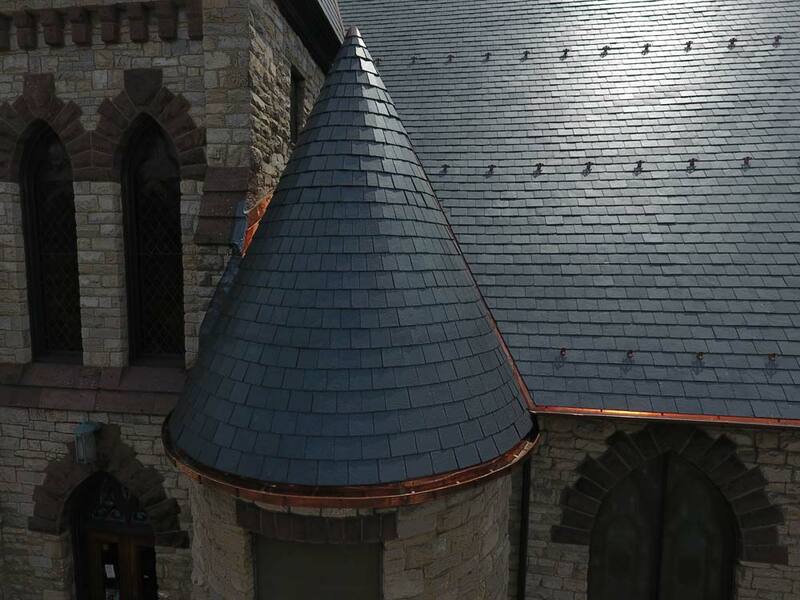 We are also highly skilled in slate restoration work. 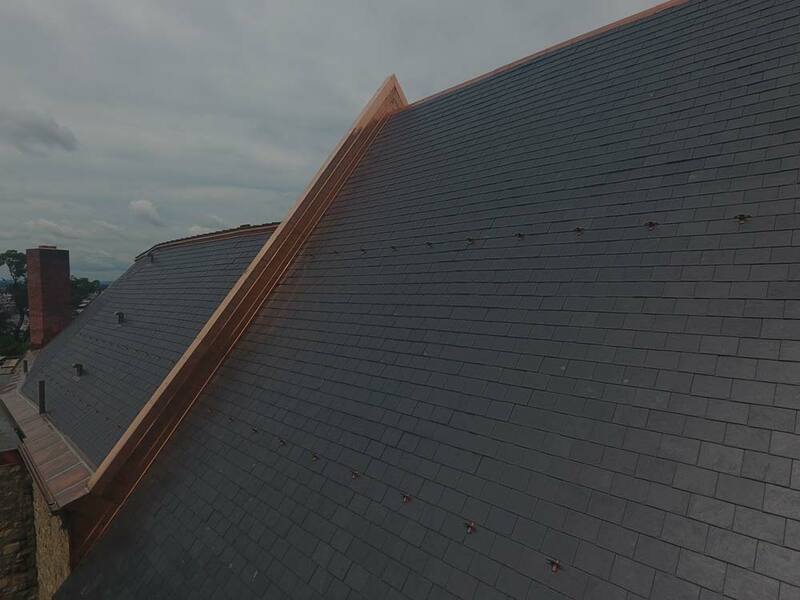 Slate is a common choice in roofing as it is a hard wearing and durable material that will last for many years. 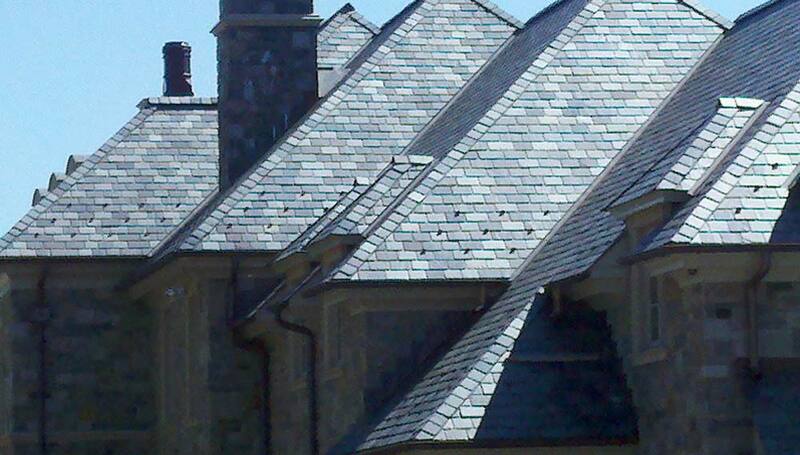 Unfading Black slate is a popular option. 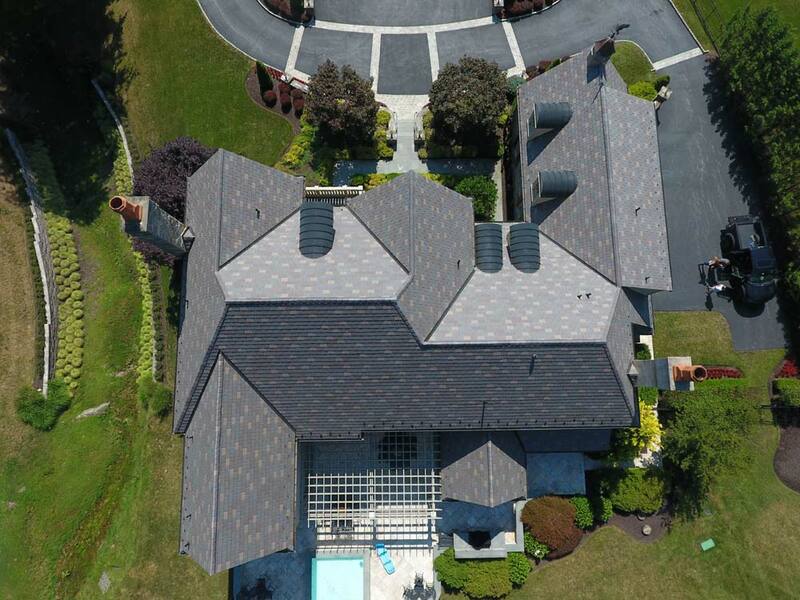 It offers a smooth roofing finish in a black or dark gray color which will not fade or weather. 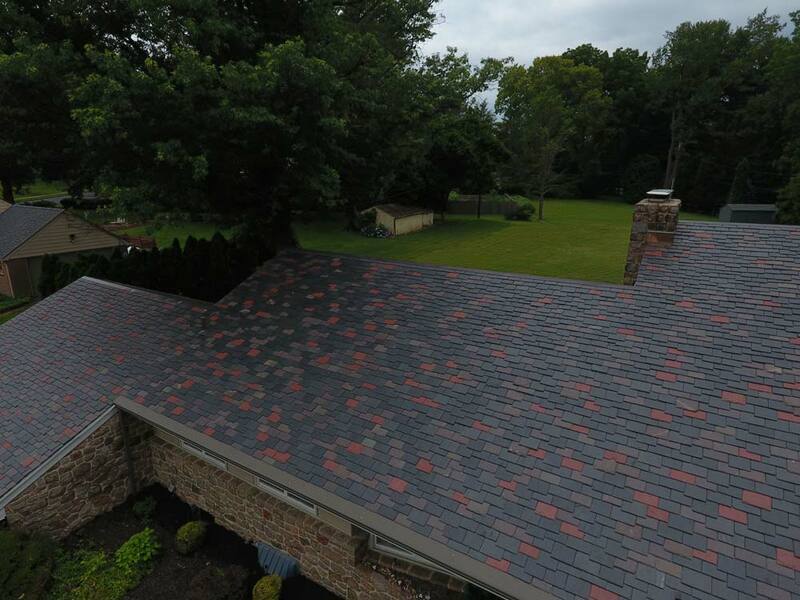 Keep your roof looking great for years to come. 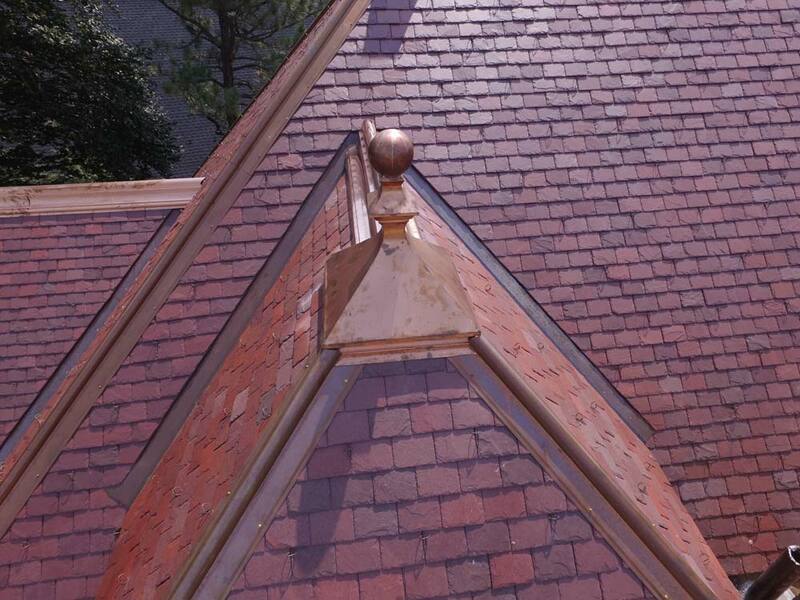 Red slate is a much rarer variety than many of the other colors, and therefore more expensive. 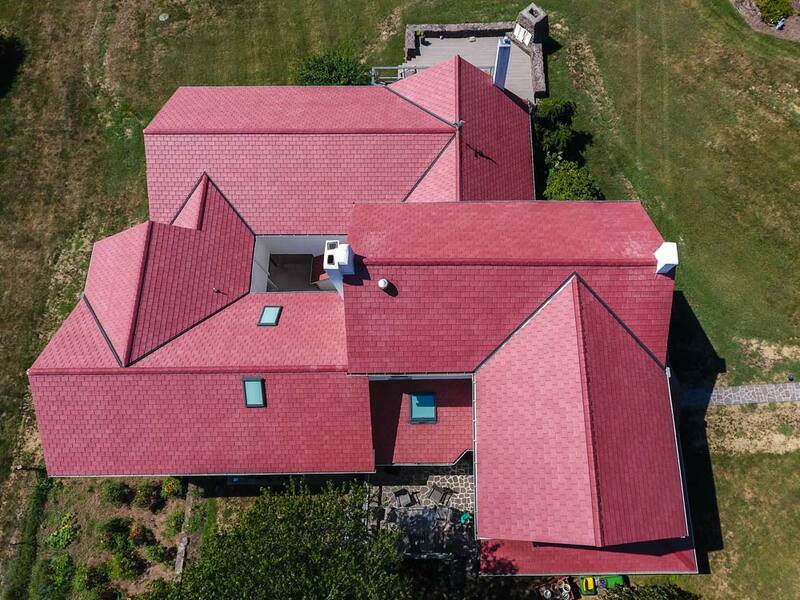 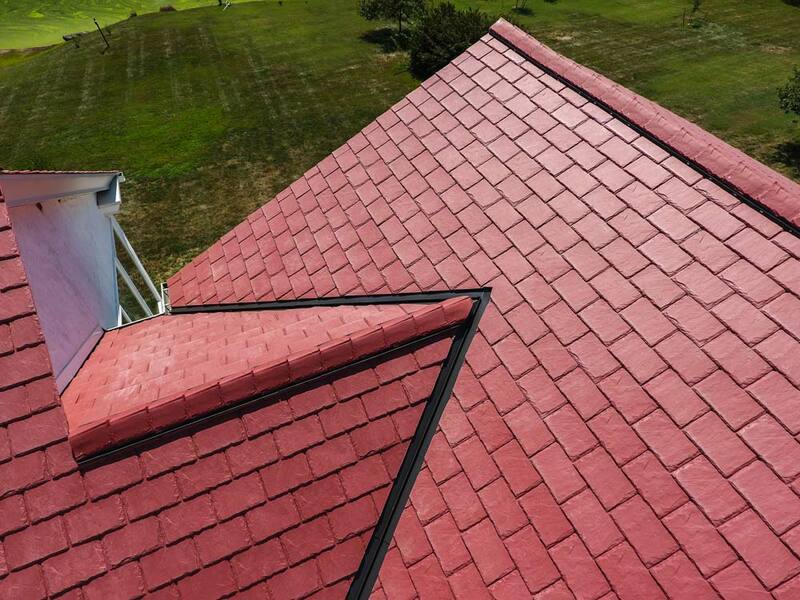 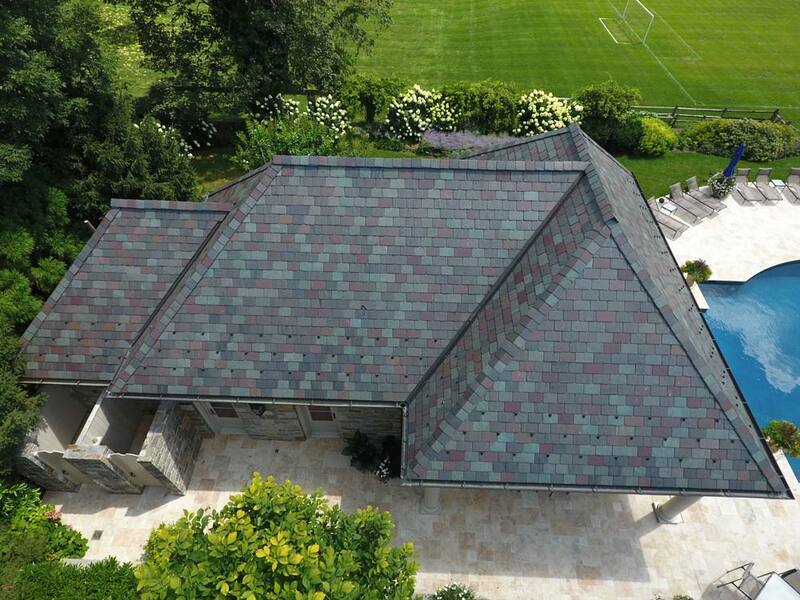 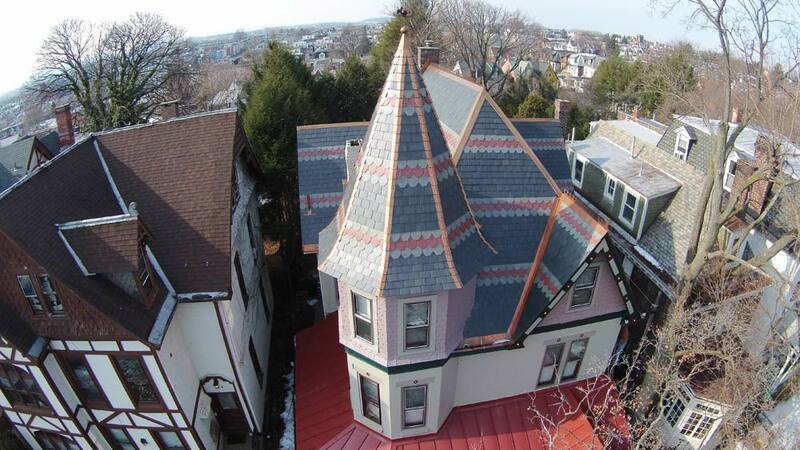 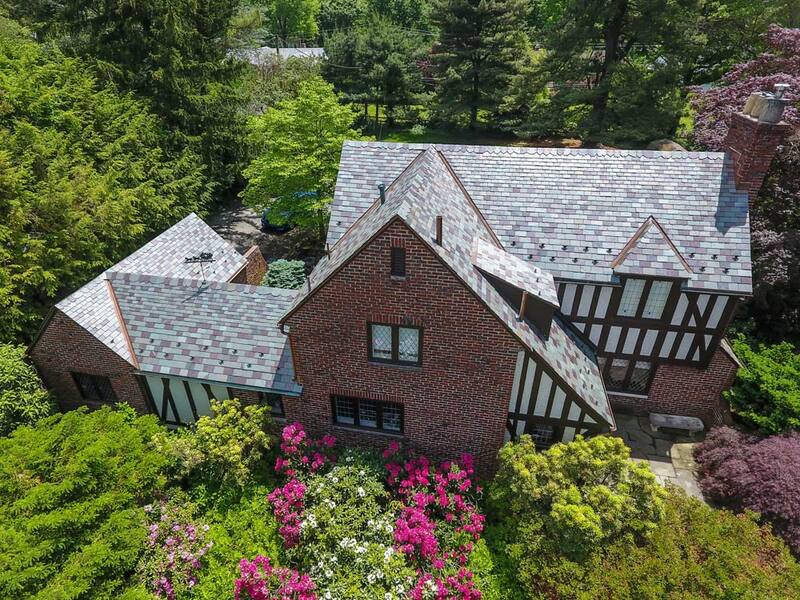 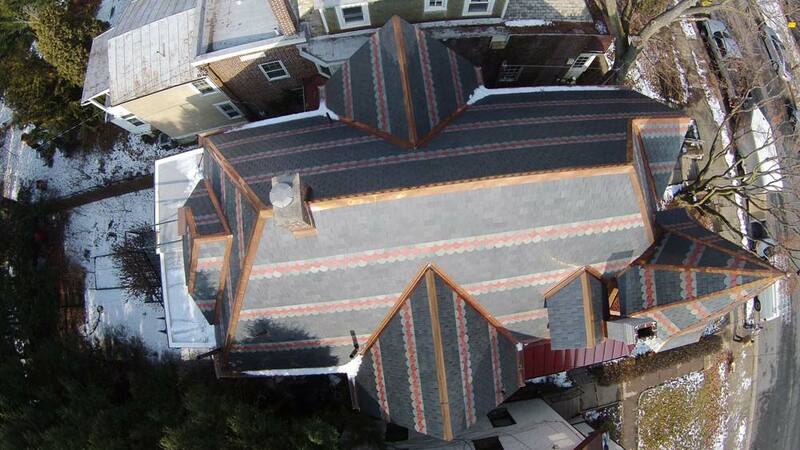 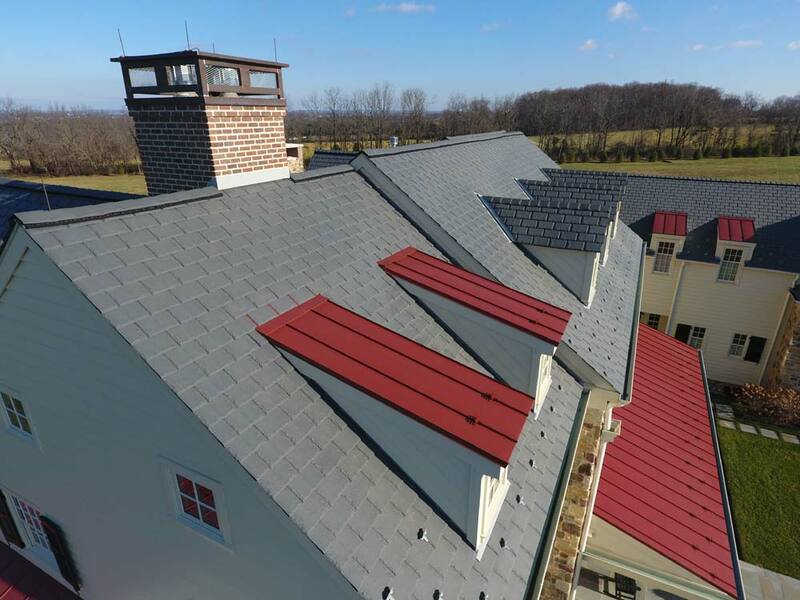 However, unfading red slate offers a vibrant roof design that will not fade or weather over time. 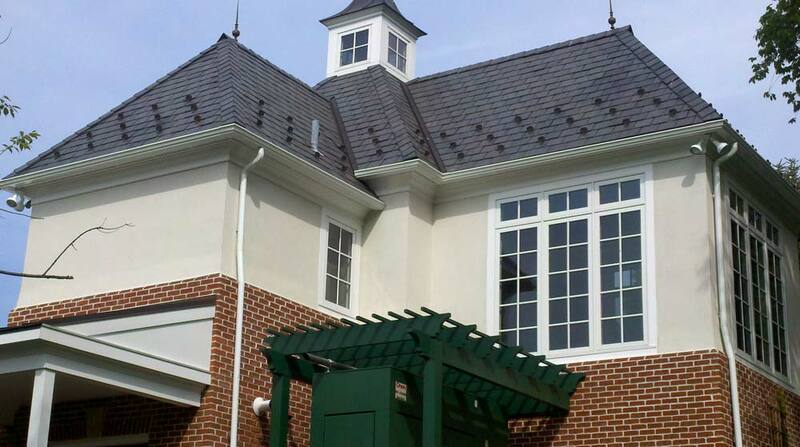 Unfading Green slate is a classic roofing choice. 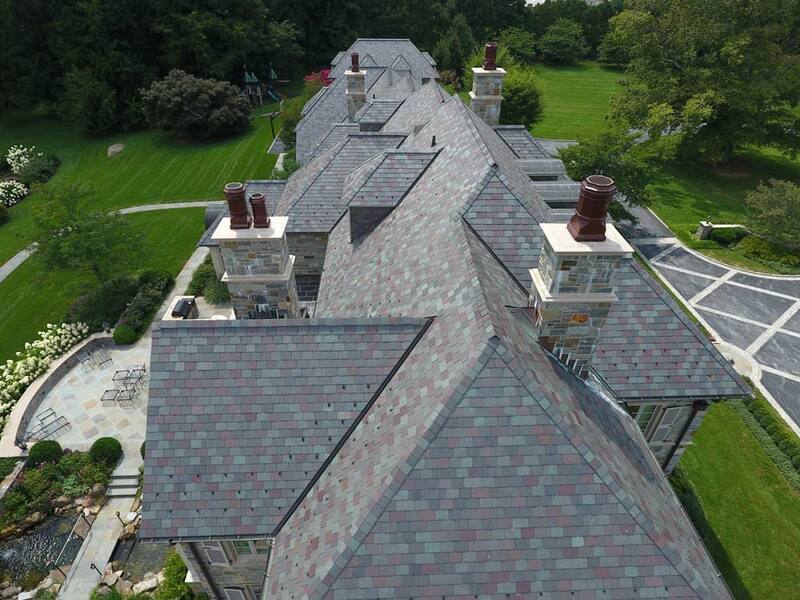 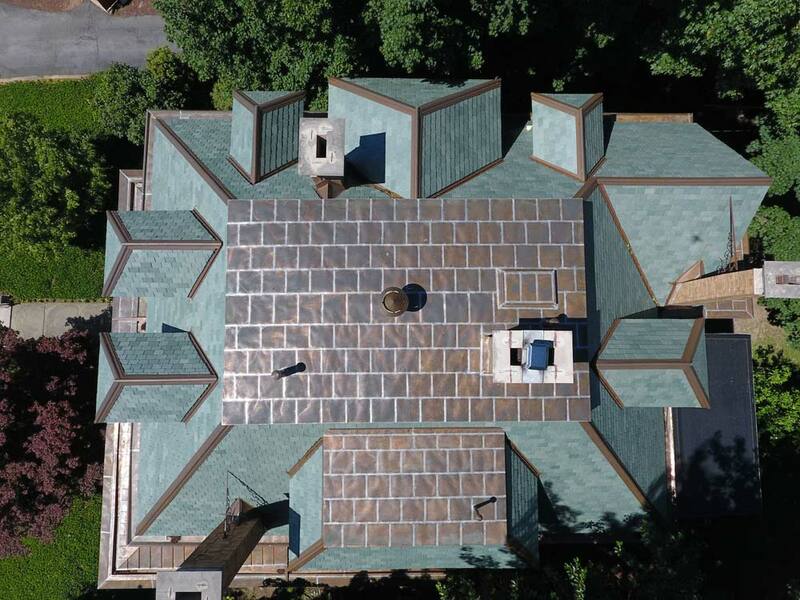 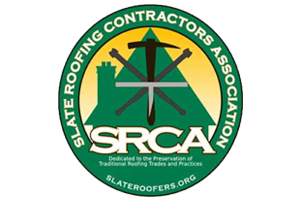 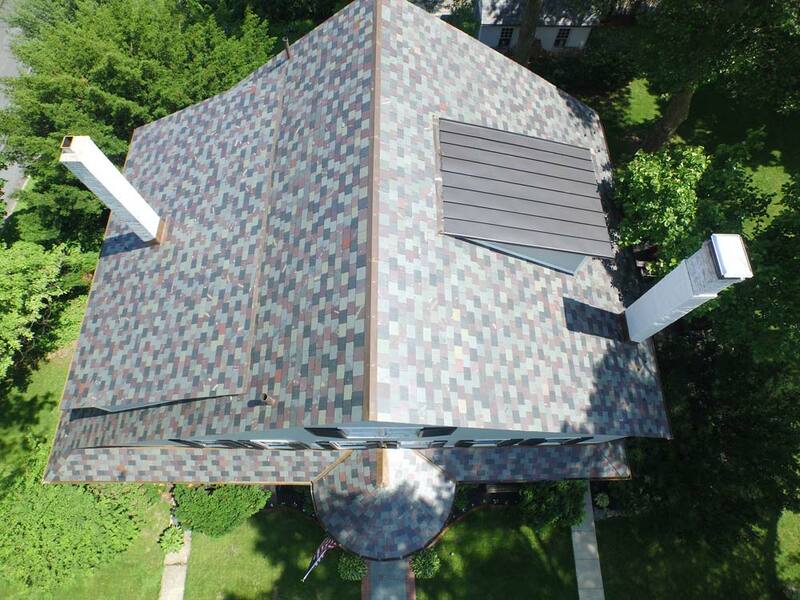 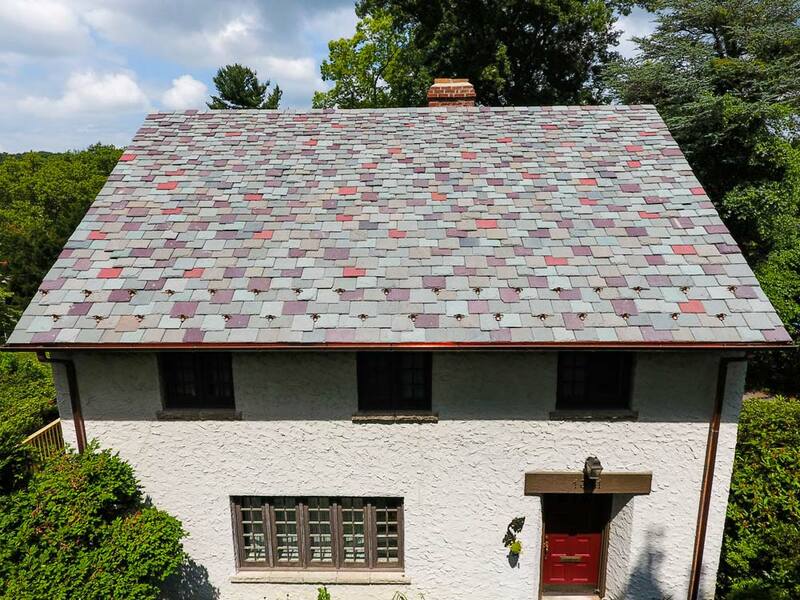 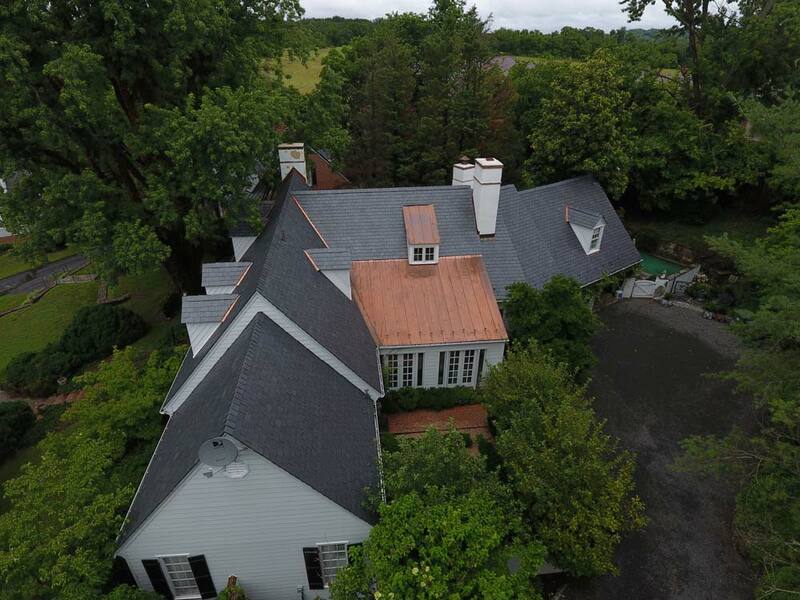 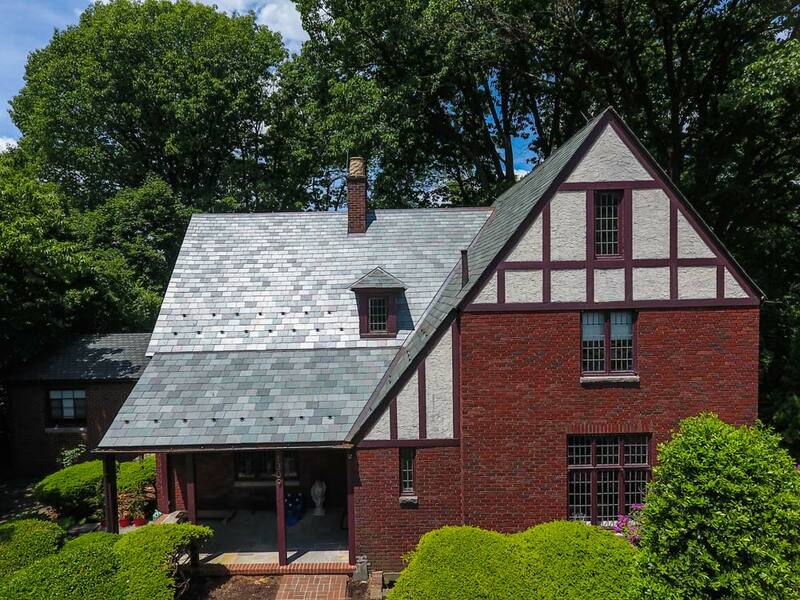 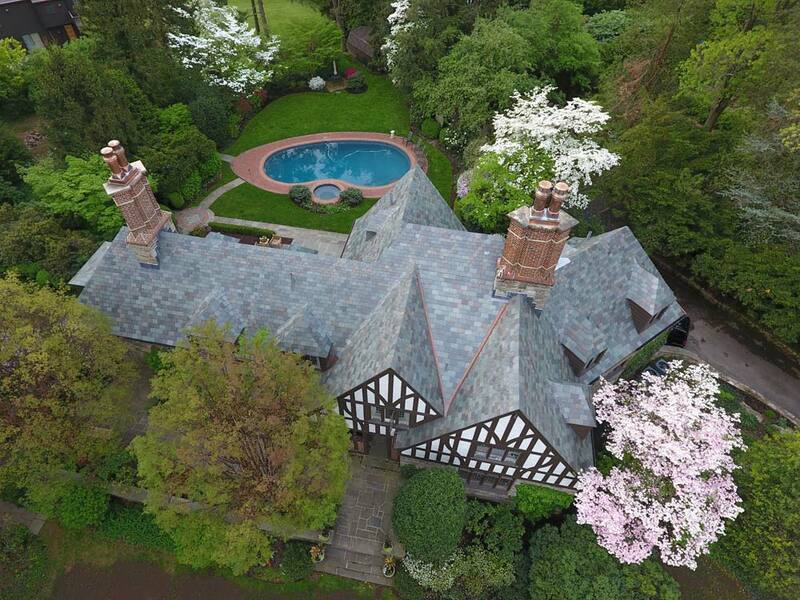 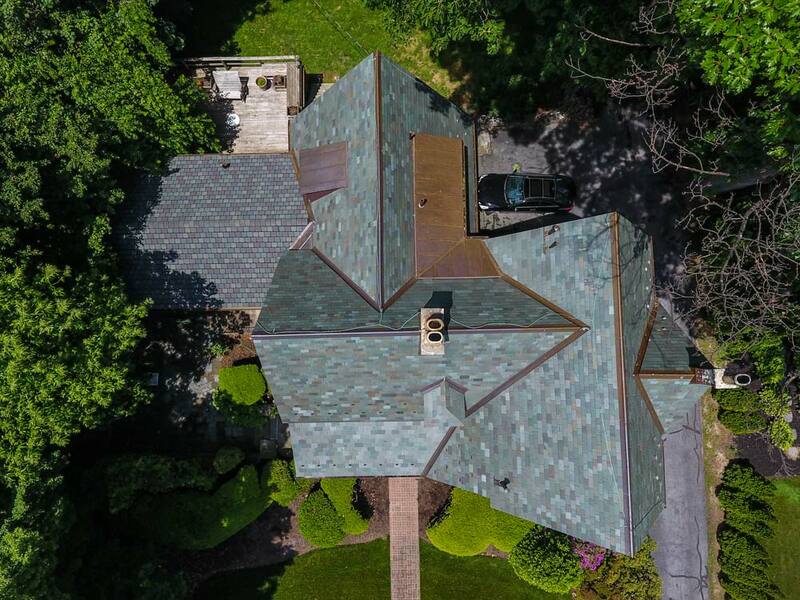 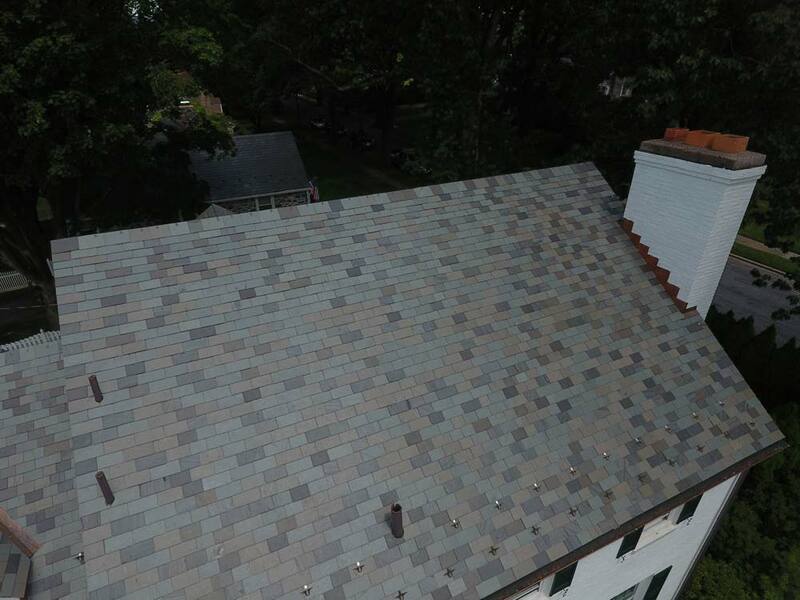 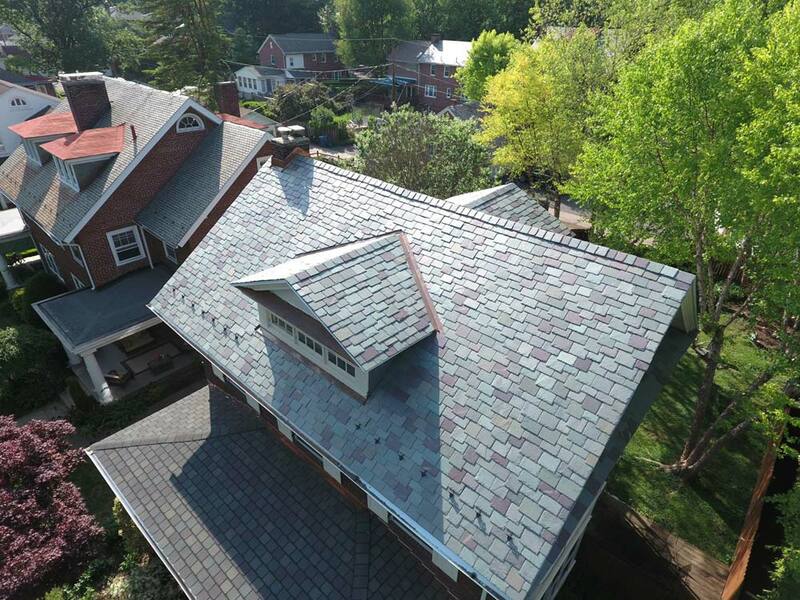 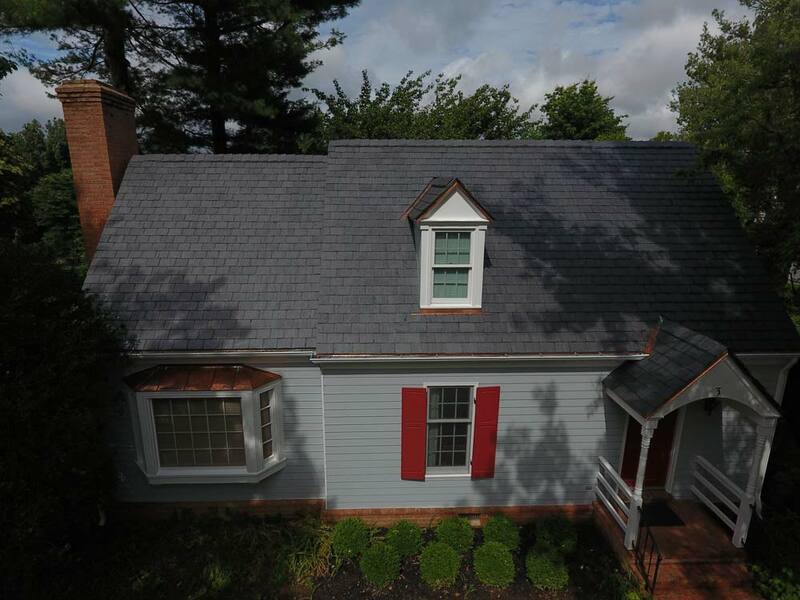 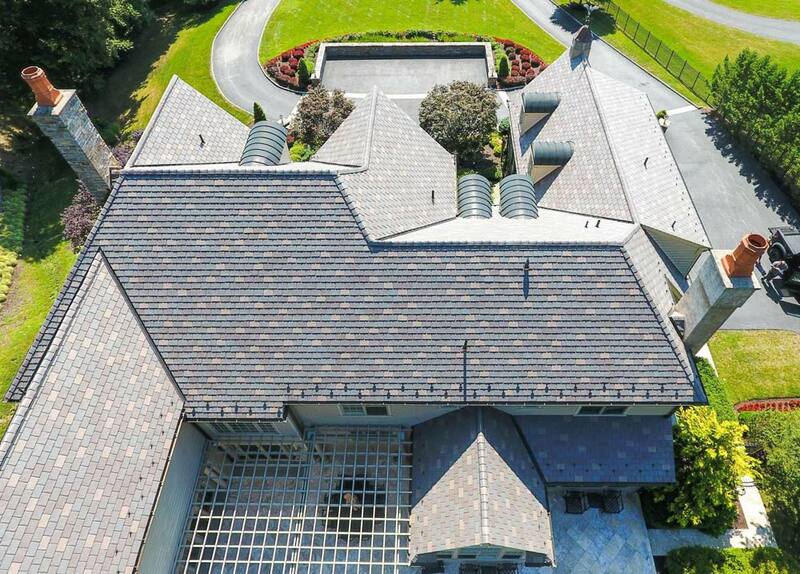 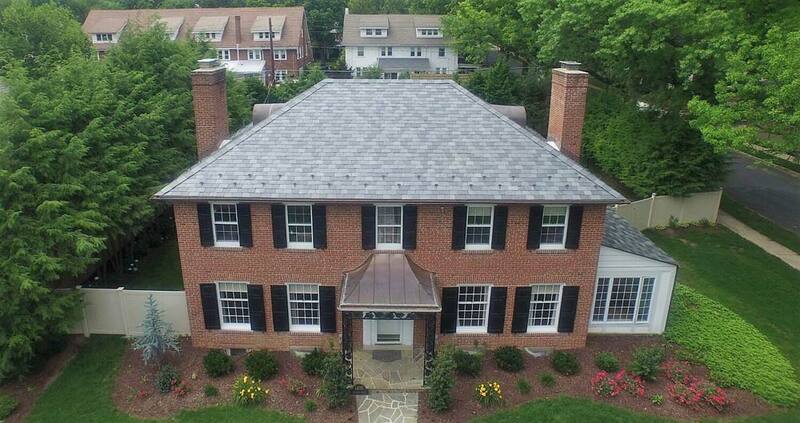 Many customers expect slate to be gry, but there are many different choices and the natural green color of this particular slate gives a whole new look to your roof. 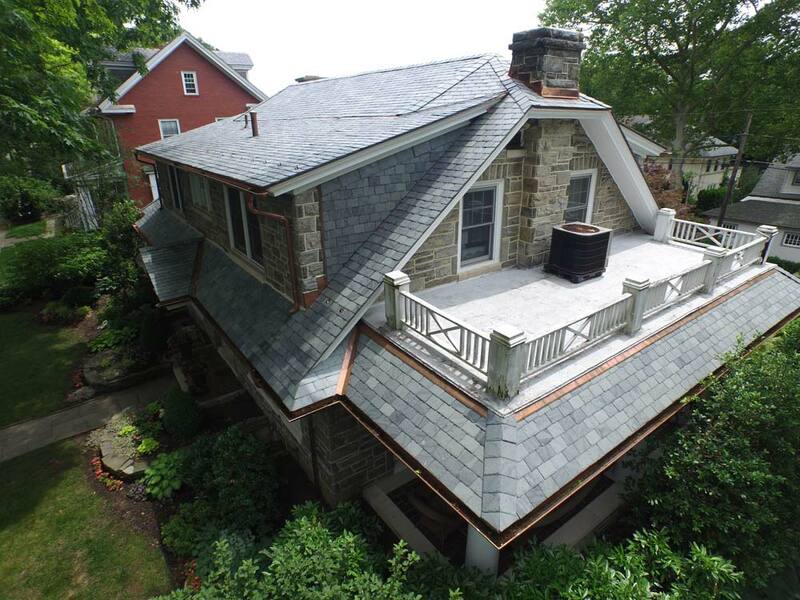 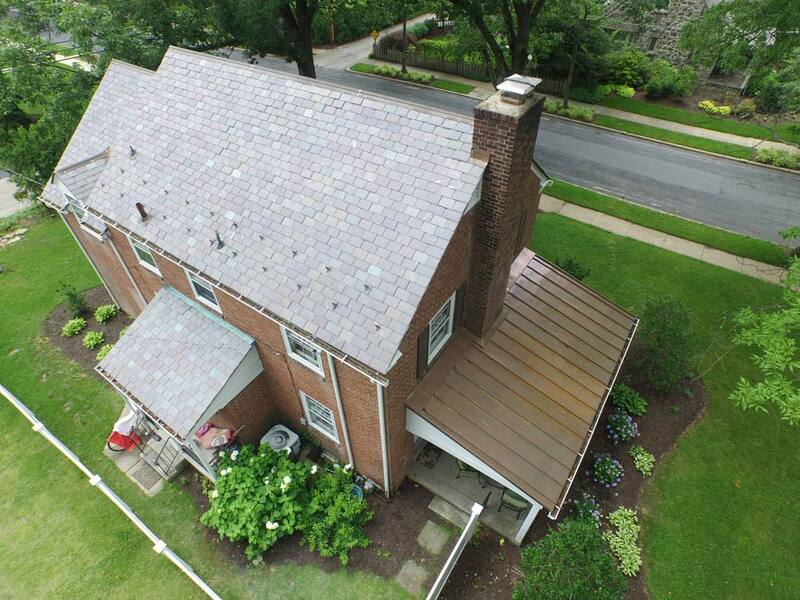 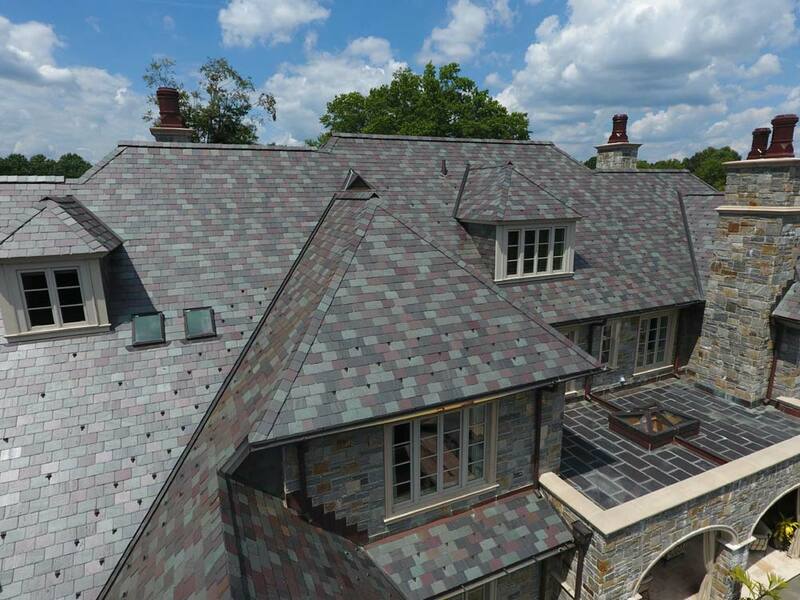 There is no reason to stick with one single color of slate for your roofing. 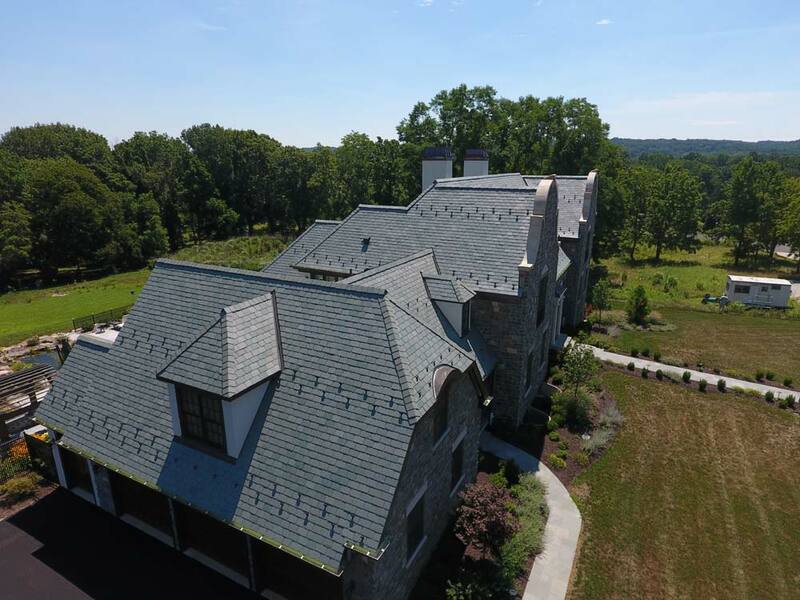 In fact, at Gillespie Contracting Inc. one of our most requested options is a slate color blend using 2 or more different colors to create a more textured look. 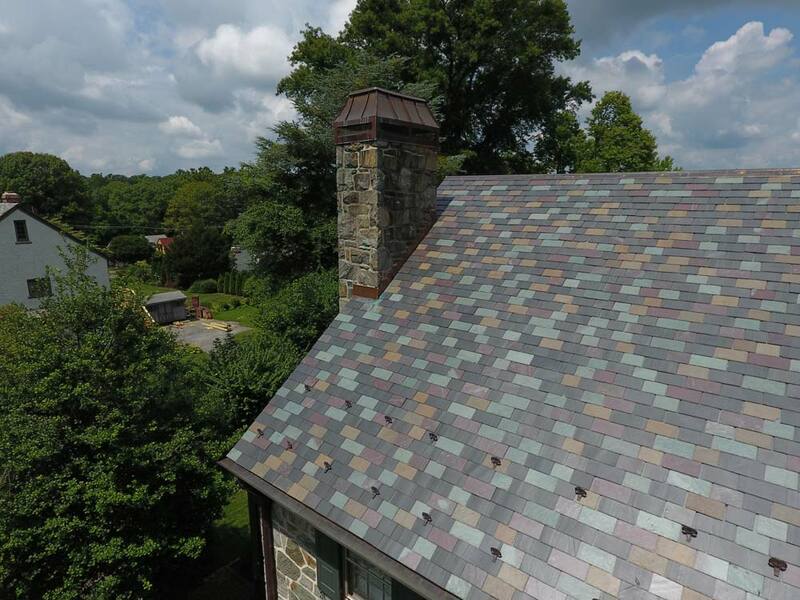 We have created color blends using as many as 9 different colors of slate ranging from gray and black through to royal purple and green! 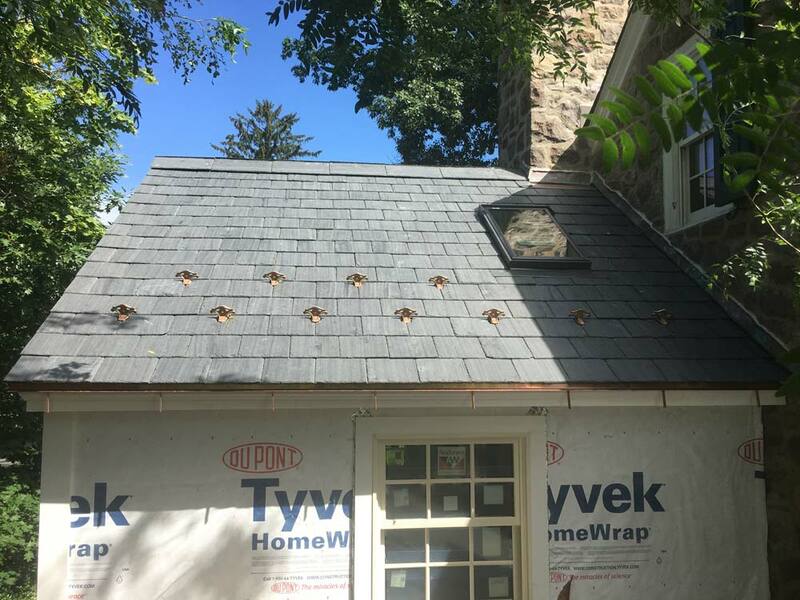 Vermont Slate is a natural slate quarried in the state of Vermont and it is available in a wide choice of colors including green, purple, gray, sea green, and gray-black among others. 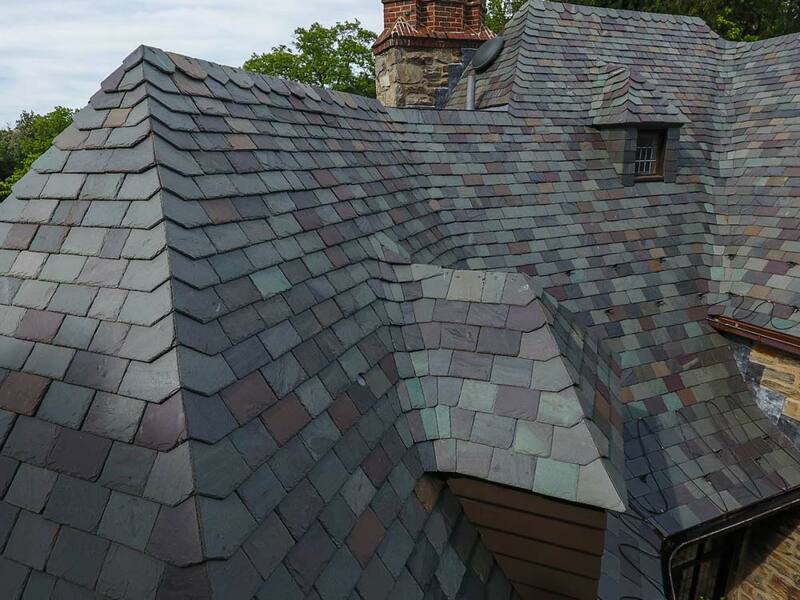 It is common for several colors of Vermont slate to be mixed in order to create attractive patterns in roofing. 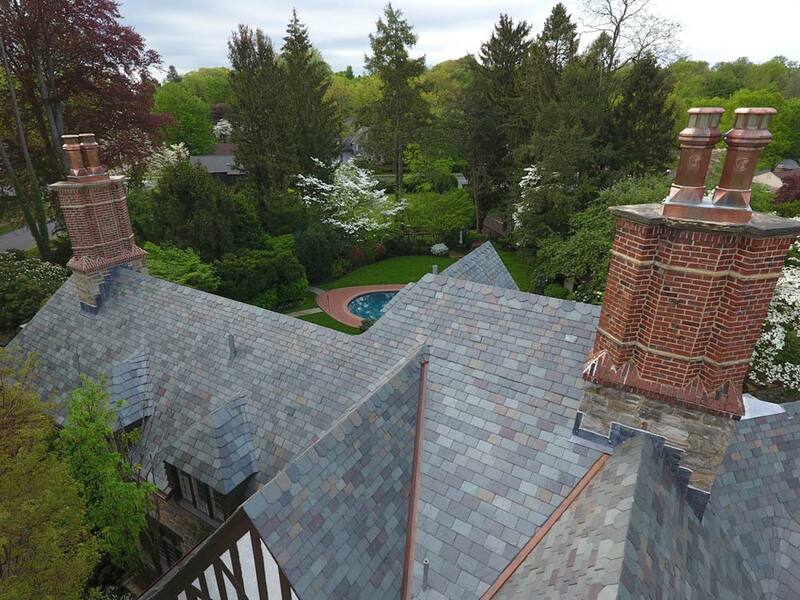 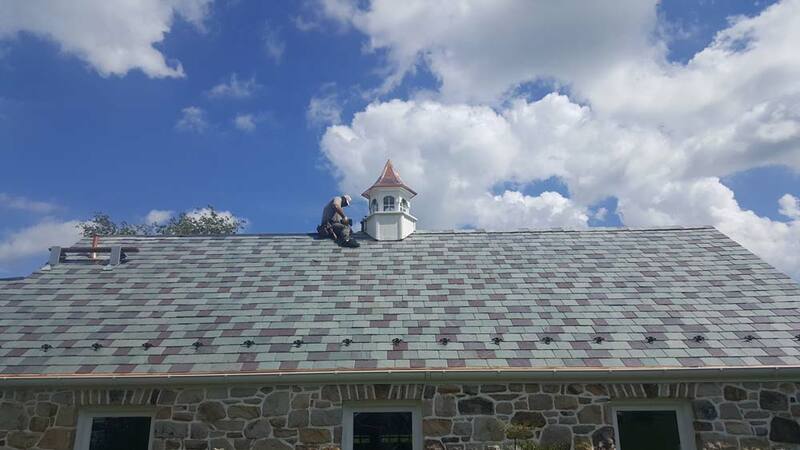 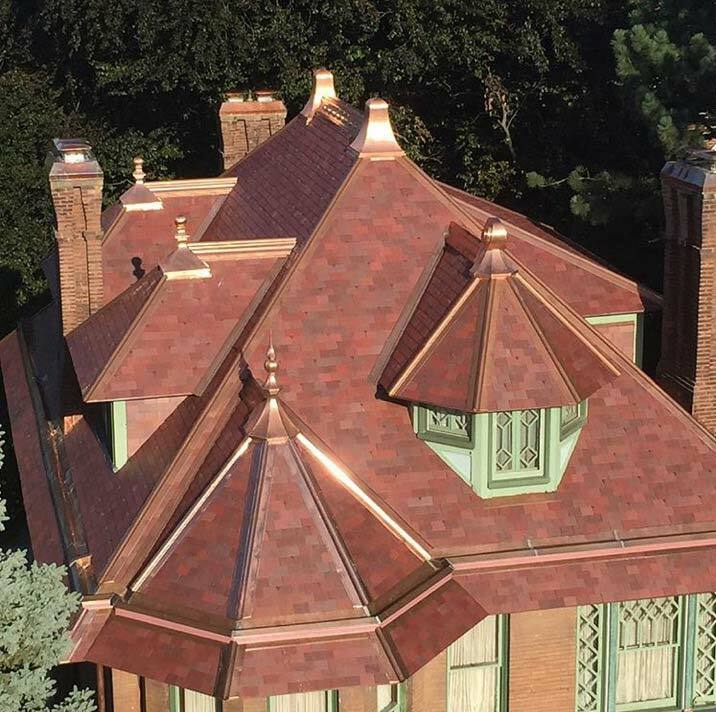 Vermont slate is considered a hard slate and has a life expectancy of over 150 years making it a very popular choice for high-quality roofing.